As for ACP bonding cement products like Aegis-Ortho, there are currently no published comparative studies on its ability to prevent white spot lesions in the peer-reviewed literature. Two reports detail the questionable bond strength of ACP-containing cement. In spite of its potential benefits, frequent bond failures with ACP-cement have been reported. An in-vitro study with an earlier generation of Aegis-Ortho showed that orthodontic brackets bonded to teeth with an ACP-containing composite material failed at significantly lower forces than brackets bonded to teeth with a conventional resin-based composite orthodontic cement (Dunn, 2007). Another in-vitro study found that brackets bonded with the conventional Transbond XT had more than two times the shear bond strength in comparison to brackets bonded with Aegis-Ortho cement (Foster et al., 2008). In evaluating the current evidence base for ACP and its various products, the number of published in-vitro and in-vivo trials is clearly underwhelming. 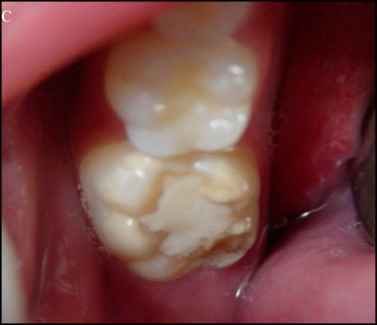 In a 2008 systematic literature review published in the Journal of the American Dental Association (JADA), the authors concluded that there is insufficient clinical trial evidence to make a recommendation regarding the long-term effectiveness of casein derivatives, specifically CPP-ACP, in preventing caries in-vivo (Azarpazhooh and Limeback, 2008).